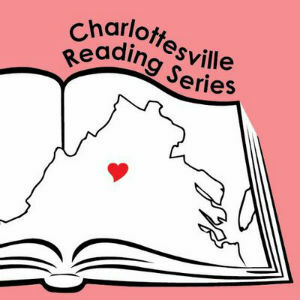 The Charlottesville Reading Series will host a poetry and prose reading on Friday, April 19, from 7:00 PM to 8:00 PM at New Dominion Bookshop (404 East Main St). The event will feature in-person readings by Valencia Robin, who will be reading poetry, and Debra Nystrom, who will be reading prose. The event is free to attend, and complimentary refreshments will be available at intermission. Robin is the winner of Persea Books’ 2018 Lexi Rudnitsky First Book Prize in Poetry; her collection, Ridiculous Light, will be published in April 2019. A visual artist as well as poet, her poetry has appeared or is forthcoming in TriQuarterly, The St. Petersburg Review, Black Renaissance Noire, Foundry, Kweli, The Cortland Review and elsewhere. She is a Cave Canem Fellow and the 2014 winner of the Hocking Hills Festival of Poetry Competition. She holds an MFA in Art & Design from the University of Michigan and an MFA in creative writing from the University of Virginia. For more details, visit valenciarobin.com. Nystrom teaches in the MFA Program in creative writing at the University of Virginia. Her books include A Quarter Turn, Torn Sky, Bad River Road, and most recently Night Sky Frequencies: New and Selected Poems. Her poetry, fiction, and nonfiction have appeared in Best American Poetry, The New Yorker, Ploughshares, The Kenyon Review, Slate, The American Poetry Review, VQR, Harvard Review, Narrative, Conjunctions, and Yale Review, and have received awards from VQR, Five Points,Shenandoah, The Virginia Commission for the Arts, and The Library of Virginia. She is currently at work on a memoir.